Most biblical scholars long ago came to the conclusion that the gospels of Matthew, Mark, Luke and John were originally anonymous, and that we don’t have a clue who wrote them. As you can imagine, this poses a pretty severe threat to people who are committed to believing that everything they say is true. A few biblical scholars even fall under that category, and as you may already have guessed, they disagree with the conclusion. So, how do we know that the gospels really are anonymous? Are the objections raised by critics any good? Here’s how we know: “Because our surviving Greek manuscripts provide such a wide a variety of (different) titles for the gospels, textual scholars have long realized that their familiar names (e.g. ‘The Gospel According to Matthew’) do not go back to a single original, but were later added by scribes.” p.248-249 Bart Ehrman, Jesus: Apocalyptic Prophet of the New Millenium. As far as I know, none of these titles have different names (i.e. we never find what we’d recognize as our gospel of Matthew being ascribed to Luke or vice versa) but I think what Ehrman means is that the gospel titles vary in ways like this: one manuscript says “The Gospel According to St. Matthew” another says “The Gospel of St. Matthew.” That’s the kind of variation he’s talking about, I think. Ehrman also mentions in a number of his writings that no one would write a title like that if they had written the book. Example: I’m not going to write a blog post with title “Gospels are anonymous according to Nicholas Covington” I’d write “Gospels are anonymous, by Nicholas Covington” or something like that. Hence, the ‘according to’ inscriptions strongly indicate that someone else put that title there later, not that it was part of the original. “None of the gospels claim to be written by an eyewitness. Take Matthew, for example. Even though someone named Matthew is mentioned in Matthew 9:9, there’s nothing in that verse to indicate that he’s actually the person writing the account (read it and see!). Furthermore, nowhere in the entire gospel does the author indicate that he was personally involved in the events that are described. He never says, for instance, ‘one time Jesus and I went up to Jerusalem, and while we were there…’ Instead, he always writes in the third person-even about the disciple Matthew!” (p.42 Jesus). 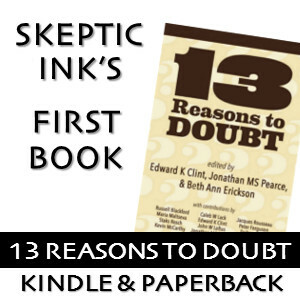 A number of other considerations weigh in against the probability of eyewitness authorship, including the fact that 3 of the 4 gospel authors seem to have heavily copied from earlier written sources (why would anyone do that if they experienced the events themselves, or had heard about it from a close friend?). I think it is sufficient to stop there. Most biblical scholars just don’t buy into the eyewitness authorship hypothesis, including a great number of conservative Christian scholars. Now you know that there are good reasons they don’t, it isn’t just prejudice or wild guesswork driving these conclusions. (1) Regarding titles, there are really two separate issues. First, did the author write the title? No, the difference in titles on different manuscripts suggest otherwise. Second, did the original recipients of the Gospels know who wrote them? Yes, that’s why all the manuscripts agree on the author. If you have more than one manuscript it is natural to name them in some fashion in order to tell them apart. I believe Martin Hengel runs with this to argue that the attributions are authentic. The traditional hypothesis seems to predict the evidence far better than the anonymous hypothesis. (2) Papias was alive when the Gospels were written and provides the earliest tradition to the authorship of some of the Gospels. He seems to be dismissed far too quickly on this point by many scholars. I also find his comments on Matthew intriguing as it raises the question of how our Greek Matthew is related to the book mentioned by Papias. In my opinion, the traditional authorship of Matthew is the most difficult to defend. (3) Luke claims to rely on eyewitnesses even though he is not one himself. Since he borrows from Mark this may indicate he knew Mark was based on eyewitness testimony (the same could be said for Q or Matthew depending on how one solves the Synoptic Problem). The Gospel of John does claim to be based on the testimony of the beloved disciple. (4) Traditionally Mark is based on the words of Peter, the pre-eminent disciple of Christ. Is it that surprising that a non-eyewitness (Luke) and a minor disciple (Matthew) would use Peter’s testimony in their own Gospels? I’m not sure about that. If I’m not in error, there were multiple ancient authors who knew about the gospel of Thomas and called it that, but that doesn’t mean Thomas really wrote the gospel named after him. Second, a church tradition being spread widely could just as easily account for the name attribution. That’s the problem right there: Papias says Matthew wrote in Hebrew (and I think he also calls the gospel a “sayings gospel” which ours certainly isn’t) which means that either Papias is wrong or the gospel of M. we find in our bibles was mistitled. Either way, that doesn’t speak to much credibility for church traditions. Even worse, Papias is known for buying into a lot of legends (i.e. Judas Iscariot swelled up to the size of an oxcart). He says that he has material “handed down” from the eyewitnesses. I suspect he means that he has an oral tradition that he thinks began with some eyewitnesses. That’s true. I also suspect (but cannot prove) that Mark wanted his audience to think his own account was grounded in the eyewitness testimony of the mysterious young man. For various I view this as pious fiction designed to bring some authority to the narrative. That’s especially likely to be true with John. I’d have to think about that one. I reckon *if* Mark was based on Peter’s testimony, then that’d be a credible scenario, but of course I doubt the former. If I’m not in error, there were multiple ancient authors who knew about the gospel of Thomas and called it that, but that doesn’t mean Thomas really wrote the gospel named after him. Second, a church tradition being spread widely could just as easily account for the name attribution. I would modify your statement to say “an early church tradition . . . .” When the Gospel manuscript first arrived at a new church the church would have to give the manuscript a title to differentiate it from its other manuscripts it had (e.g., the Hebrew Bible). If the new church labeled what we know of as the Gospel of Mark the Gospel of Philip then we might expect to see this difference in our manuscripts or a difference of opinion mentioned in our sources. As far as I know we don’t see either. If the tradition is early then it can’t be dismissed without argument. Papias says Matthew wrote in Hebrew (and I think he also calls the gospel a “sayings gospel” which ours certainly isn’t) which means that either Papias is wrong or the gospel of M. we find in our bibles was mistitled. Either way, that doesn’t speak to much credibility for church traditions. Papias does say Matthew wrote in Hebrew but he also says that each person interpreted/translated Matthew’s words the best he could. Papias says Matthew put the words in an ordered arrangement, it does not mean it was a sayings Gospel. The Gospel of Matthew that we know does have Jesus giving rather long speeches. The author clearly arranged these speeches carefully. If our Greek Gospel of Matthew is a translation of an interpretation/translation of a Hebrew written by Matthew then it could still be appropriate to title the book with Matthew’s name since he was the ultimate source of the material. Even worse, Papias is known for buying into a lot of legends (i.e. Judas Iscariot swelled up to the size of an oxcart). It is important to note that my case does not rely solely on Papias. His information is corroborated by other authors and the manuscript evidence mentioned earlier. The plain reading of the text seems to be that he received accounts directly from eyewitnesses. This should not be surprising since the “we” accounts in Acts indicate the author had contact with eyewitnesses. Moreover, the author states that he “investigated everything carefully.” You and Ehrman cannot dismiss this passage merely by asserting the author does not claim to rely on eyewitness testimony. I must be missing something; I don’t see how that makes a difference to the argument. How early are we talking here? Because Papias wrote in the early second century, and for all I know the gospels may have gotten their titles at the time or within a few decades after. The plain reading of the text seems to be that he received accounts directly from eyewitnesses. Strongly disagree. “Handed down to us from the eyewitnesses” does not indicate a direct relationship. If anything, that is what someone would say if their relationship with the eyewitnesses was very indirect. Papias does say Matthew wrote in Hebrew but he also says that each person interpreted/translated Matthew’s words the best he could. You’re implying that our version of the Gospel of Matthew may have been translated from Hebrew? If so, that’s false. Historians know how to tell when a Greek document was translated from Hebrew, and the verdict on this point is completely negative. Papias says Matthew put the words in an ordered arrangement, it does not mean it was a sayings Gospel. Papias said that “Matthew put together the oracles [of the Lord] in the Hebrew language.” “Oracles” is taken by scholars to mean sayings. As far as I can tell, there isn’t anything else to indicate the scenario you’re positing. In the case of the canonical Gospels we need to explain how they all were attributed to the traditional author despite the fact that the author’s name does not appear in the main text. In the case of the Coptic Gospel of Thomas we can be relatively certain that it received its title because the alleged author’s name was in the main text. This route is not an option with the canonical Gospels. You can’t say that the canonical Gospels got their titles for the same reason the Coptic Gospel of Thomas got its title. Obviously Papias provides the latest possible date. However, I implied that it occurred when a church received a Gospel for the first time as a title would be necessary to identify different books in the “library” without opening each scroll/codex. “Handed down to us from the eyewitnesses” does not indicate a direct relationship. If anything, that is what someone would say if their relationship with the eyewitnesses was very indirect. The phrase “handed down” is the technical language of passing on tradition. I’m not sure what else in the verse makes you think it implies an indirect transmission. You’re implying that our version of the Gospel of Matthew may have been translated from Hebrew? I’m not saying it’s a straight translation of a Hebrew Matthew. Papias’ statement suggests some editing may have took place too. I admit this is speculative (recall earlier I said the traditional authorship of Matthew was the most difficult to defend in my opinion) but I see nothing that rules it out either. “Oracles” is taken by scholars to mean sayings. But can we jump from that to conclude that Papias had in mind what modern scholars do by a “sayings Gospel”? Maybe he did and maybe he didn’t. I think Ehrman makes too much of the title. The original work, whoever wrote it, might not have had a title. The title could have been added or changed later, but that says nothing about the authorship of the book. I forget which Gospel it is, but one of the authors describes Jesus as coming and going from synagogues in Judea. Of course, there were no synagogues in Judea until after the destruction of Jerusalem and the fleeing of the Pharisees. The author of did not know this because he was writing too late and because he was unfamiliar with the geography. There are other geographical errors which make the authorship suspect. I think many scholars think that at least one of the authors was likely writing from Rome. At the very least, many of the errors we see preclude any eyewitness authorship. I forget which Gospel it is, but one of the authors describes Jesus as coming and going from synagogues in Judea. Synagogues are mentioned in all four Gospels. Of course, there were no synagogues in Judea until after the destruction of Jerusalem and the fleeing of the Pharisees. Why do you say that? According to the Anchor Bible Dictionary, the Talmud states there were 480 synagogues in Jerusalem during the reign of Vespasian. I suspect you have been fed poor information.